Don't already have a login for the Service Portal? Contact our service team now to get connected. We've been supporting mission critical business throughout NZ for over 20 years, and a key to our longterm success is that we provide a total support solution that allows us to handle the majority of support calls with a single phone call or email, and without needing to visit your site. We use best of breed equipment and software, well proven and documented methods, and design all of our our installations with a focus on reliability. 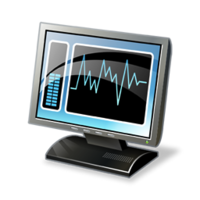 Then we monitor your systems to identify and resolve issues before they interrupt your business. Our 'One Call' IT support leaves you and your staff free to focus on running your business. For less than the price of a cup of coffee a day, we can monitor your critical IT systems and help keep your business running smoothly. 24/7 monitoring, daily and weekly reports, and total transparency so you know the state of your servers and systems. Fixed costs, Unlimited Support, Proactive monitoring, and a friendly voice at the end of the phone. Managed Support Plans can be tailored to suit your specific needs, giving you ultimate flexibility and predictable consistent costs. 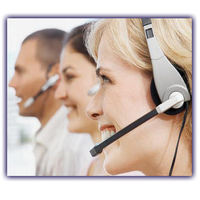 Our 'Team Support' approach means you are not dependent on a single person who 'knows' your system. We recognise the risk and inefficiencies of the 'one off' approach, so have standardised and documented our systems and methods so that any member of our team can support any client.